Which fallacies surrounding “unskilled” migrant workers do you especially seek to dispel through your book? Each year tens of thousands of international migrants with little schooling or formal credentials migrate to the United States and labor in industries and occupations upon which much of the U.S economy rests. Dominant theories of migration, labor, and human capital have largely ignored the experiences of skill acquisition and labor market mobility of these migrants, who are quickly categorized under the shorthand “unskilled” and deemed to be trapped in dead-end occupations at the bottom of the labor market. Needless to say, many of these migrants face exploitative conditions, legal uncertainty and receive inadequate compensation for their work. 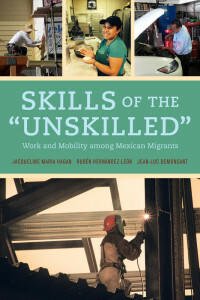 While numerous critical contributions to the scholarly literature have described and analyzed these precarious work conditions, in this book we have taken up the task of challenging the notion that migrants with low levels of formal education are “unskilled” and experience little or no economic mobility in their work and migration careers. We dispel the fallacy of the unskilled migrant by identifying the skills they acquire throughout their lives and across countries and social contexts—what we call lifelong human capital. We then identify mobility pathways associated with the acquisition and transfer of technical and social skills across the migratory circuit, including reskilling, occupational mobility, job jumping (brincando), and business formation. What implications do your findings have for future migration policy, in both the U.S. and Mexico? Our findings have implications for the migration policies of both the United States and Mexico. There is a fundamental mismatch in current U.S. immigration policy that gives preference to “skilled” who rank high on traditional human capital attributes, such as years of formal schooling, and restricts the entry of “low-skilled “ migrants, a classification that ignores the high level of informal skills and working knowledge they bring to labor markets, especially in industries such as construction that have been partially vacated by the native born but traditionally characterized as very skilled. And while the failure to pass comprehensive immigration reform has temporarily closed some opportunities to bring attention to the skills that so called “unskilled” migrants bring to U.S. labor markets, we believe our work, especially the skills classification scheme we developed and feature in our book, can inform the efforts of migrant advocacy groups, economic and social justice organizations and foundations, and bi-national institutions dedicated to workforce development and migrant and worker rights. We also contend that similar programs can be implemented in Mexico to recognize and take advantage of the skills migrants bring with them upon return. Sizeable return flows are a long and persistent characteristic of the Mexico-U.S. migratory system. The great recession, stepped up enforcement, and a policy of mass deportations have impacted patterns of return migration to Mexico. 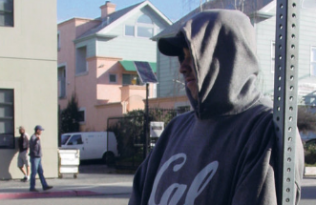 While target earners might have decided to weather the recession and prolong their stay abroad, many others had no choice but to return due to forced removal by U.S. authorities or fear of incarceration. Although return migration declined between 2006 and 2010, the number of those removed from the United States increased significantly. During this period, approximately 1.2 million Mexicans were removed from the United States. According to Mexico’s census data, nearly one million individuals had returned home between 2005 and 2010. The Mexican federal government has a long history of building programs to serve Mexicans abroad, facilitate their social integration and encourage their remittances. In this context, it is notable that the Mexican government has not developed policies to reintegrate returning migrants to local and regional labor markets and to harness the skills acquired in the United States and transferred back home. Our research suggests that the Mexican government would be well served by supporting self-employment ventures and reintegration programs that recognize the enhanced skill sets of return migrants. For example, Mexico’s federal and state authorities could jointly develop employment information centers to screen return migrants, identify skills and match them with potential employers. Through researching for Skills of the “Unskilled”, were you able to discover any areas you would be interested in exploring in the future? Lingering research questions remain. Will those return migrants who have successfully transferred skills stay in Mexico? Will these return migrants continue to experience mobility within the Mexican labor market, especially in pronounced pattern of business formation? If so, what are implication of return migration and business formation for local development? Will those who acquired new skills in the United States but were not able to successfully transfer them back home be compelled to emigrate again? To tease out these complex questions, we returned to Guanajuato in summer, 2015, five years after we implemented our survey, with an eye towards understanding how family, life cycle processes, labor markets, and state and local institutions have shaped the lives of the return migrants and how they in turn have shaped their local economies. Once we have analyzed the data, we plan on drafting an epilogue to a new edition of “Skills of the “Unskilled:” Work and Mobility among Mexican Migrants. Stay tuned for the update! Jacqueline Maria Hagan is Robert G. Parr Distinguished Term Professor of Sociology at University of North Carolina at Chapel Hill. Her research interests include international migration, labor markets, gender, religion, and human rights. She is author of Deciding to Be Legal and Migration Miracle.